When it comes to a complexion that exudes radiance, beauty and health, these enviable assets are not a given. You have to work at maintaining good skin and use the proper products that actually deliver genuine results. Not all brands offer products that can live up to the hype, because their complexion care formulas have not been designed around modern beauty science. 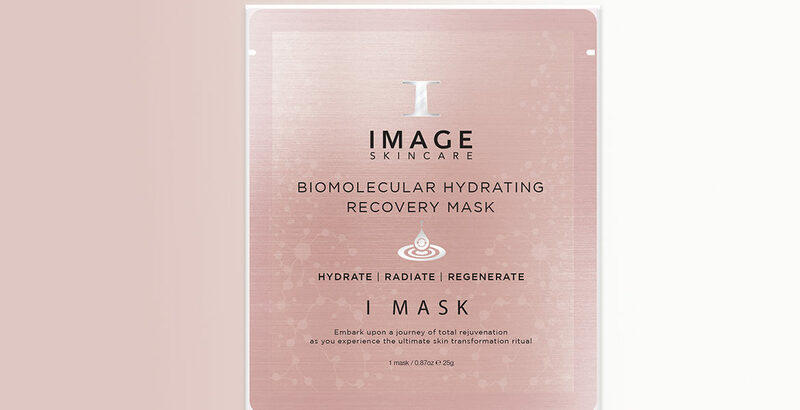 We at IMAGE Skincare are proud to introduce a truly next-generation sheet mask with our new I MASK line of products, which includes the biomolecular hydrating recovery mask and biomolecular anti-aging radiance mask. The genius of our twin sheet masks lies in their unique components, ingredients and the efficacy they promote. If you are longing for skin that is tighter, brighter and glowing, our newest I MASK products are superb skin care treatments. Thanks to the high technology of our quality sheet masks, they are able to soak into the deep layers of your skin, offering supreme benefits. The biomolecular hydrating recovery mask is ideal for bringing nourishment and soothing effects to dry or dehydrated complexions. All it takes is 20 minutes to experience softer, smoother skin that is lifted, protected and rejuvenated. Our sheet mask contains the perfect cocktail of serum ingredients to provide maximum anti-aging benefits. Some of these include a beautiful synthesis of volcanic water, ginseng root extract and amino acids. In addition, our advanced sheet masks are simple to use. Just cleanse the complexion prior to use. Apply the hydrogel mask gel-side down, and position the mask evenly over the face by smoothing out air bubbles with your fingers. Then relax for up to 25 minutes and allow our mask to do all the rejuvenating work. The biomolecular anti-aging radiance mask is another fine choice in repairing the damage our complexions have suffered from the elements as well as general aging. Skin tone imbalance, fine lines and wrinkles, as well as dull faces can all benefit with our rich hydrogel sheet mask technology. Watch your skin return to its natural luster and healthy color, thanks to our superior blend of volcanic water, brightening botanicals, peptides and antioxidants. Just one application speaks volumes as pores tighten, the appearance of wrinkles fades and smoother skin is yours. Like our recovery treatment, our radiance mask delivers with little effort. Drape the mask gel-side down on the complexion, and gently smooth the sheet mask in place for up to 25 minutes of soothing paradise. Here at IMAGE, we take skin care very seriously, and our sophisticated level of chemists and worldly clinical experience truly makes the difference in our products. Please share your experiences with our new I MASK products in the comments below! Lips lover, this is for you! Let's celebrate Summer.